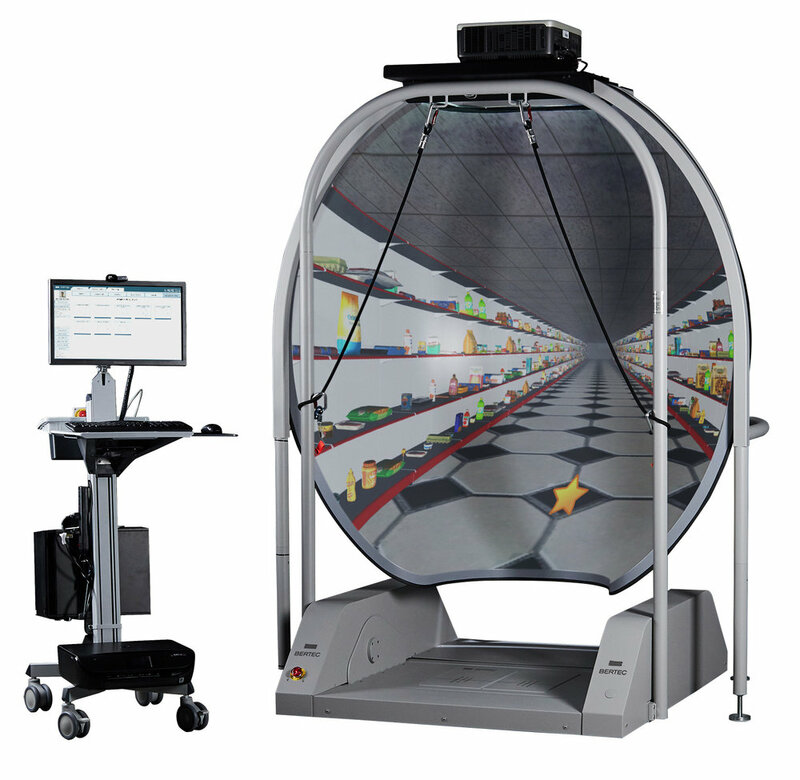 Bertec’s Computerized Dynamic Posturography (CDP/IVR) combines immersive virtual environments with dual-balance force plate technology. The advancements in Bertec’s technology increase the clinical value of CDP in both assessment and targeted therapy interventions, especially for patients suffering from dizziness, balance problems and/or motion sensitivity. Training with immersive, virtual stimuli can increase patient motivation, adaptability and variability—all factors that positively affect patient outcomes. The IVR is able to take you to different levels. It's an evolving product that is limitless on what you can do, both evaluation- and treatment-wise. Bertec’s extensive biomechanical engineering experience enables a technologically superior and clinically robust computerized dynamic posturography system. The use of immersive virtual reality unlocks endless training and visual assessment scenarios previously unavailable to clinicians and simply impossible with a mechanical surround. Increase patient adaptability, variability, and motivation with immersive and modular experiences for patients at any level of treatment and recovery. Working side-by-side with your patient, create compelling visual conflict using a library of stimuli that allow real-time modification of difficulty parameters. The CDP/IVR’s low step-up profile provides easy access for your patients suffering from dizziness, balance problems, and/or motion sensitivity; its dynamic motion base intelligently hides its hinges to avoid physical and psychological trip hazards. Stay close and hands-on with your patient using the dedicated static clinician area and wireless remote.